I hope everyone is having a cozy Saturday morning. Here in Duluth, Georgia, we're having one of our few "cold" days of winter this year. As a person who grew up in Southwestern Ohio, it still feels nice for February. My offering this week is actually a found poem. Reese, who's in second grade, does these spelling-related homework assignments every week, and one of them is to put his spelling words in alphabetical order. While I was checking his work earlier this week, I saw a poem emerge. Last year, I learned about Motionpoems and tried to get Boss involved with Poet's Market. Unfortunately, it didn't work out, but it did lead me to learn more about his writing. Pitch is an interesting collection, because some of these poems look like they shouldn't appeal to me, but as I get caught in them, there's a music to nearly all of them that swings me through the poems--and causes me to want to read more. But they also beg to be considered--each one--through a second and third reading and then always wondering if the poem doesn't mean something else. 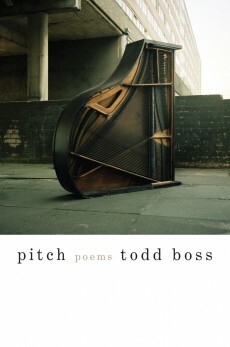 That's the real pleasure of reading poetry--being swept up by the music and then left puzzling--and Todd Boss delivers in Pitch. Earlier this month, the poetry world lost an amazing voice when the Polish poet Wislawa Szymborska died of lung cancer at 88. 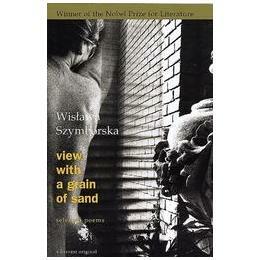 Winner of the 1996 Nobel Prize for Literature, Szymborska's poetry is both very readable and also penetrating. For instance, one of my favorite poems from this collection is "Going Home," in which a man comes home and curls up in his bed. There is something very basic about these poems and raw and still magical. As with most great collections, this book is filled with sorrow, doubt, but also an unrelenting joy. I love that you captured that as a "found poem." Now that I'm older and looking at words differently (having written poetry for only just over a year now), this poem has brought a flash of memory to me...all those times I saw connections like this in my spelling words! You've helped me see/confirm that poetry has always been there in some shape/form just waiting to get out. Thank you for that. I agree with Paula about looking at words differently as I age...and don't care if eyes roll if I mention it to others.